My SBI review may help you build your own online business. My husband and I support small businesses and like to share what helps them grow. I remember when my sister had first mentioned Sitesell.com and how she had had to study for nine months just to see whether SBI was a scam or not. The very suggestion had put me off entirely; but she'd filtered through the stories and bought a site – well the space to build a site – complete with directions. I'm so glad she sorted through the fluff. 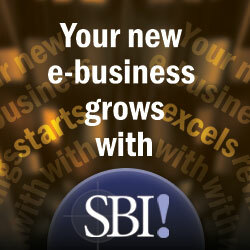 SBI was an acronym for Sitesell's site builder called Site Build It. The focus now is on building your own business, not just a site; so they've changed the nickname to Solo Build It - you'll be able to build your business yourself. and the traffic that she was gaining. Her enthusiasm was contagious! When she let me know of an opportunity to try SBI for half price with a 30 day money back guarantee; my husband and I decided to give it a try. Again, why do I write? I'm writing because my review of SBI may help you build your own business without you waiting so long to start as we did. Build your business in a niche that you like and use Sitesell's Action Guide tutorial to teach you how to write for visitors who search for what you have. Your favorite aspect may be that the tools individualize the info for you and your interests. On the other hand, I have a friend who'd been building a beautiful site "on her own". Later I found her secret. Her brother was a tech professional and was showing her what to do. They'd ask "Why don't you just put up a free site? We don't need all that other stuff." Well, my ignorance, gaining traffic, and saving money are the main reasons. I couldn't figure how to do what they were doing on their own; yet SBI showed me how, and my sister was living proof that, because she did it, I could do it. Why Did I Want To Build A Business? 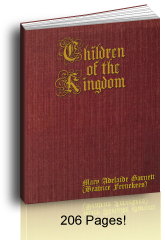 Here's the story: We'd made an audio study guide on a CD that we gave to our nieces, nephews, and godchildren. 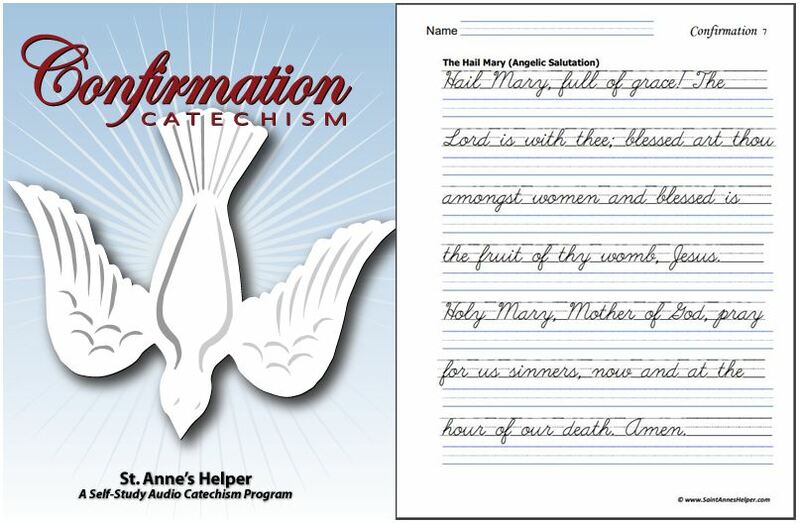 It had helped them to study their catechism and get good grades in school. Once other families saw what the CDs offered, they started asking us for copies, too. One lady brought money to our door saying, "Please, may I buy a copy?" The number of local inquiries was growing and my husband said, "We can't do this for free any more." 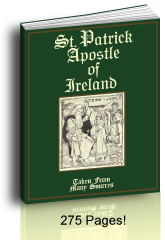 Our apostolate was born. We spent the money to get the CDs published professionally and began to try to sell them to book stores and publishing companies. We gained some sales, but nothing like we needed to cover the costs to what we'd already committed. My efforts so far had produced few results. 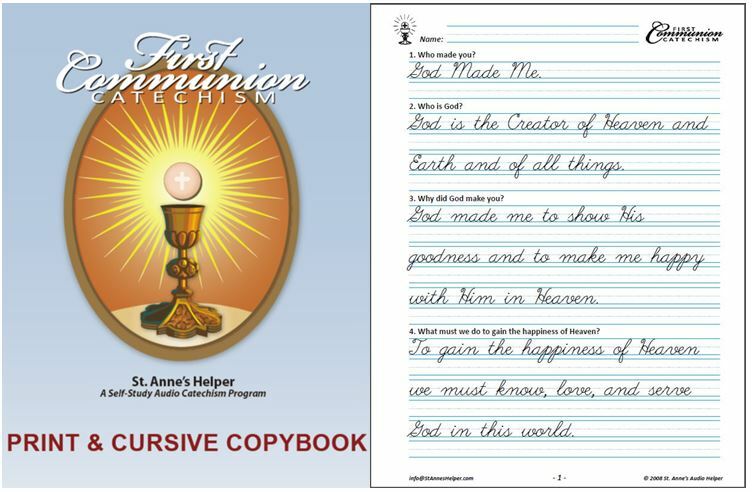 I'd spent months sending both letters and CDs to Catholic companies. I'd spent time and money on shipping and handling. I received some very nice responses, yet gained little business. In spite of these disappointments, our friends were still begging for the CDs. See the story on our About Us page. See the CDs on our Order page. I began to build my SBI Website only after my sister had told me that I needed a website to sell my CDs. I couldn't see the truth of her conviction for over six more months of letter writing. As time passed she told me about Sitesell's Action Guide that she used to build her website. She showed how it would take me step by step with a fill-in-the-blank process that would get me up and started with no extra fees. As I began to understand what she meant, I realized that having an Action Guide to plan my progress would be a huge help. Then our oldest daughter said, "I'd like to do something like that." It was on sale, so we bought the program and have been so glad ever since. I've learned about building a website with SBI from the ground up. When I first started, I couldn't even discern where the links were. I'd felt like I had to etch-a-sketch the whole page! Our children would laugh to see the links long before I could find them. As a homeschooler I was already used to using lesson plans. Why not make website plans? I was in learning mode. Further, the children could learn too. And learn they did. You can teach your kids, too, which lead to another bonus for our family. Three of our children now have excellent online skills. I remember when a nun asked me incredulously, "YOU have a website?!" I answered that it could handle visitors' questions so that I wouldn't have to be on the phone so much. Whew! As soon I said that I suddenly realized just what I really had going. It's like having electronic business cards spinning around the world answering questions and taking orders all by themselves. Our family has earned a fair income from our website through the years, and we've learned how to share our products with the world. One day with particularly many orders showing in my in box every time I moved the mouse, one of the children said "Jiggle the mouse again Mom!" This success is why I'm writing this SBI review for you. Just at the time that we started this website, web surfers became super handy buying online and buying and using downloads. We learned to put our products on digital downloads! Our downloads way out sell our physical CDs and they have made their way around the world to especially Canada, Great Britain, Ireland, and Australia. I never would have been able to figure how to do this without using SBI. In this way SBI has taught us how to build products any one of which out performs any other advertising on our site. Deo gratias! Through time things change and Sitesell's done the same. It's nickname has been SBI for years, meaning Site Build It for the idea that Sitesell has a site builder. Nowadays it's Solo Build It because you can build your site yourself using SBI, Sitesell's site builder. The Action Guide taught me in one window, while I built my site in another. The Keyword tool showed the words surfers use and showed me my best words. I've not had to buy extra plug-ins. I've learned how to use social media. As my traffic grows, the price is the same as when I started. I love the forum support and advice from people like myself. From our original CDs we now have many products that we offer as a result of the instructions and good ideas we've received from Sitesell's Action Guide and forums. I'd not imagined it was possible to deliver PDFs automatically where I do not have to touch the product, yet I learned all of it with Sitesell's tools and forum. On top of this we have our own affiliates to multiply our products' exposure. Who would have known? Oh, my goodness! I could not have built this site if I'd had any trouble with hosting. I'm no expert, so I'd be out of business already on that account. I can tell you that I've had no trouble keeping my site running. My SBI web host has been a steady-behind-the-scenes operation about which I never worry. My SBI web host has kept my site safe. It's kept my site secure and online for over nine years. Sitesell has never increased the price for web hosting. New tools are added all the time and the price per year remains the same. I generally spend my time being a Mom, so I'm glad that hosting is no biggie using Sitesell. Seeing that many websites that were online at the time I started are now gone, I'm so grateful to have had SBI's training. In review of the last decade, I'd do it all again in a heartbeat. Note bene: I earn a commission but did not write this for that reason. I want to offer you an option to the fake reviews Sitesell to spare you my own delay in starting an online business website. I want you to hear from a real person who uses and loves SBI. Double check and get proof from any company's claims, so you don't rely on negative hearsay. Sitesell did a study that is the ultimate head-to-head proof and you can find it in the study that they shared on their blog, but Solo Build It! provides so many kinds of proof beyond that. Sitesell reviews hundreds of SBI sites that have the results you'd like to have, meaning you can do the same with your own business. Sitesell's also published a convincing study that shows how much better chance you'll have of building a site that draws traffic than by choosing another site builder. 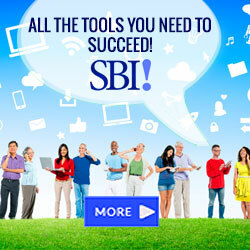 You can build your website with SBI for your own business. 100% money back guarantee. No strings attached. If you'd like to build your site with SBI, but want proof of real life success stories complete with lessons see Sitesell's blog for plenty of examples. If you search for reviews of SBI results, you'll find fake reviews by people who are paid to make reviews to switch and send you their own company that claimed to be best. SBI did a huge study to test those claims. In the name of total transparency, they show you how to do the exact same study and check the info yourself. You want your business with people who will not denigrate or defame you, so beware signing up where defamation and bait and switch are the order of the day. The study included every site from both products. On average, SBI! placed 3,300% (that's 33X) more sites into the top bracket. The other product only "beat" SBI! in failure (and by a large margin). Here is the 1st of the 3 posts that review SBI's success rates with Wealthy Affiliate's. The full set of results appear here, in the 3rd and final post. Those fake reviews have all kinds of ways of "fake-reviewing SBI!" but they don't compare success stories like SBI! does. SBI has always provided tons of verifiable proof on Sitesell.com. I am so glad that we built OUR site into a business with Ken Evoy's Sitesell because I would not have a website business without SBI. Thank you for reading, you can check out Sitesell for yourself here.